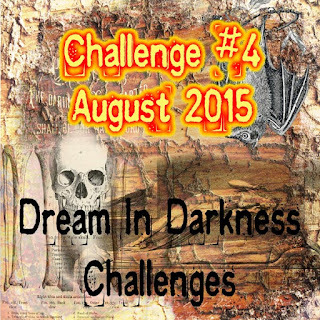 Dream In Darkness: It's Hot at Dream in Darkness for August and About to Get Hotter! 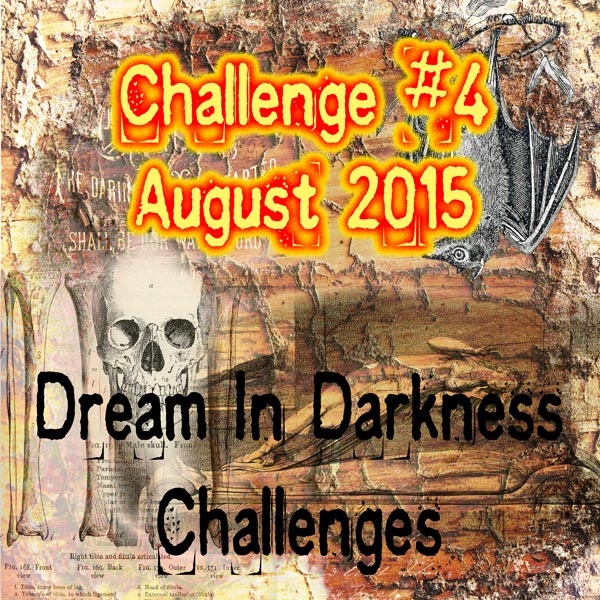 It's Hot at Dream in Darkness for August and About to Get Hotter! Welcome beloved inhabitants of Dream in Darkness house of dreary, dank, happiness! It is now time for Challenge #4! 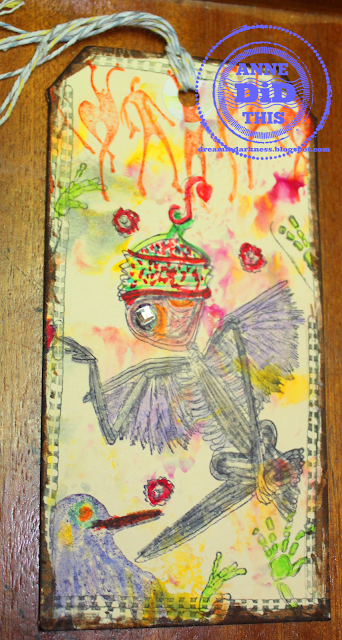 We are sponsored this month as you may know by the magnificent Teri Sherman of Delicious Doodles find her at Etsy Store ArtiDoodles! So without further delay we present our makes using images from Teri! 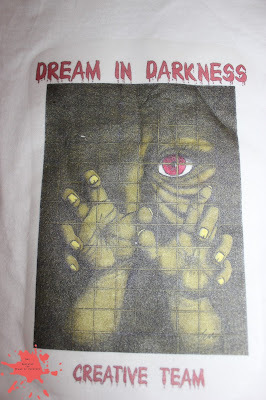 "Thank you so much to Dream in Darkness for this opportunity to be a part of the team this month. 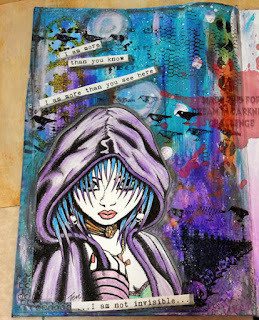 I have been doing digital scrapping for about a year and a half. I went in search of some elements to add to a photo of one of my granddaughters and was instantly hooked! There is something for everyone and a whole new creative world was found on the other side of the door. My best advice to anyone saying "I can't do that."... YOU CAN! Come play with us. 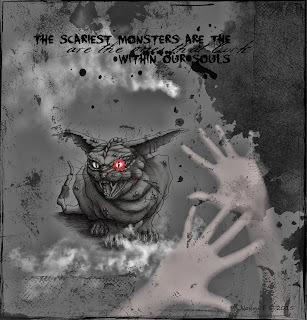 My piece is named DEMONS. We all have them. We fight them. Do not let them define you." Using Teri's "The Witches Cat". 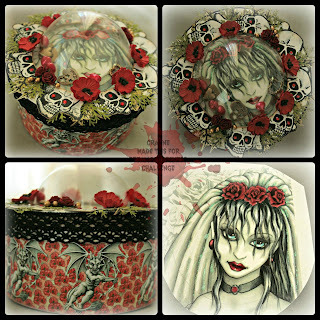 Also used to create this Crystal Rain's "Poe" and Holliewood Studio's "Halloween MC" from Mischief Circus. Border from Tangie Baxter's "Assimilation 1"
Poppies paper and skulls are not in the shop - yet anyway..
Minestrone - pasta - but what's with the eyes? And where did this creepy font come from? And who let the snail-trails get onto the page? 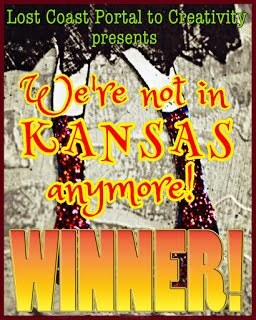 Yep, it is another teaser from CT Anne! We have to wait for the rest along with you! The guesses have run rampant but not a word from CT Anne but an evil snicker at our distress! So come back and check to see the rest of the "Eyes" on July 7th when we announce the winner's of July's Challenge! Now you know the next bit! Your turn to show us, run don't walk, leaving the light off, all that stuff BUT we do need to continue our quest for CT No Good Nan! Evil Froggy and his "helper/leader" still have not returned her to the house! Yes, she made a project we know she is being allowed her crafting supplies, limited we have heard though! oh the inhumanity! so we must make Evil Froggy happy right away! She has been missing almost a month now, so either she is really not missed at all (hmmm interesting thought!) or we just haven't tried hard enough! So get out those supplies and craft away and most importantly: enter them below! We will leave you with this one thought. If we let Evil Froggy and "helper" aka CT Anne keep No Good Nan.....they may come after others and not just teamies! That's right! Look over your shoulder, what was that sound? A croaking? An evil snicker? 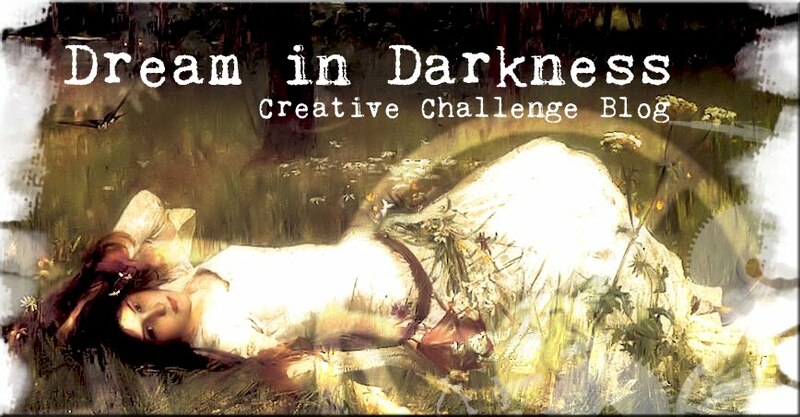 Yes, time to get serious here at Dream in Darkness...lights off and out! Kindly link to Evil Froggy above or he will "enhance" DT Nan's rubber stash. And you can only guess what THAT means bwahahahaha!!!! 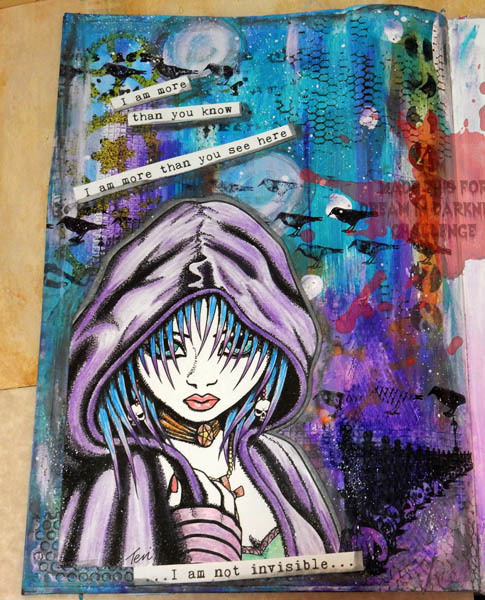 Love Arline's piece - true darkness indeed comes from within. Mr Froggy is so scary! I've created a protector with sharp teeth, claws & lots of eyes to spot Mr Froggy with. The only problem is that he has a tendency for profuse nose bleeds, where blood comes out his eyes aswell & he coughs up huge blood clots.